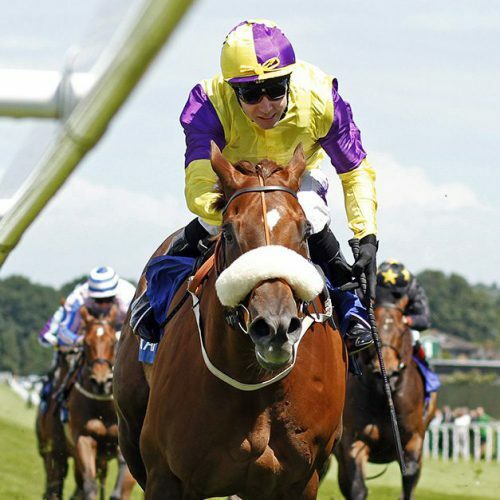 The imposing Brando has been placed in four Group 1 QIPCO British Champions Series sprints without managing to win one. Don’t discount him putting that right at some stage. A reappearance win in the Abernant Stakes, followed by a second to Harry Angel in the Duke Of York Stakes, suggested he had returned in good heart this term and he confirmed that when beating all bar U S Navy Flag in the Darley July Cup. On his penultimate start he was second to The Tin Man in the 32Red Sprint Cup at Haydock and then, last time, he was a fine fourth in the QIPCO British Champions Sprint at Ascot. “We knew we had him in great shape,” trainer Kevin Ryan said before the July Cup. “It is a little bit gut-wrenching, but I’m proud of him and we’ll try and win it next year. He had also been third in the 2017 renewal, having also filled that position in the QIPCO British Champions Sprint at Ascot on Champions Day in 2016. At Ascot, the gelding had been stepping up in class following a fine victory in the Ayr Gold Cup off a mark of 110 and connections were very pleased following another great run by the son of Pivotal. The four-year-old finished a short-head behind the 50/1 runner-up Growl, who was, in turn, a length behind the 13/2 winner The Tin Man and jockey Tom Eaves felt Brando could have been even closer had the ground been a little bit softer. He began his 2017 campaign with victory in the Abernant Stakes at Newmarket in April. He started favourite for the Duke of York Stakes at York next time on the strength but bled during the race and trailed home last. Brando put that blip firmly behind him when finishing a keeping-on third to Harry Angel in the Darley July Cup at Newmarket, and followed that with a first Group 1 victory victory in the Larc Prix Maurice de Gheest. He was not at his best after but most of his efforts this year – he was a below-par eighth when defending his Prix Maurice de Gheest crown – suggests he is back on the right track.